With the Grouper App the world of social online dating is changing. JoinGrouper.com have developed a dating app for iPhone and iOS which is fast, friendly, and has a beautiful design and feel to it serving a growing crowd of dating singles. Our review of the Grouper App unveils the reasons why anyone who’s looking to find real love, a relationship, a fling, or just to date online should hurry and download the Grouper dating App to their mobile or tablet. The app is currently not available for Android, Blackberry or Windows Phone. With it’s easiness of use the Grouper App offers a unique why to meet new singles online via your iPhone, iPad, or any iOS mobile device. Only friends of friends can meet on the app. This means that you are able to see profiles of people in your extended social network (Friends of your friends on Facebook for instance). Removing the awkwardness for singles dating altogether, the app cuts straight to the actual meeting, or date, itself. 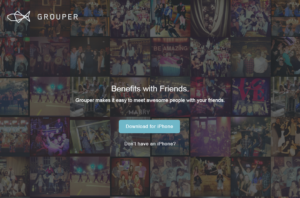 This makes it so beneficial for local singles to meet one another in their own area using the Grouper app, and to do it with their friends, which makes it much safer. Grouper is fast becoming one of the biggest singles dating app for iPhone users. It is revolutionizing the way online dating apps work by channeling the core of social dating as its biggest advantage to meet and match singles via their mobile. 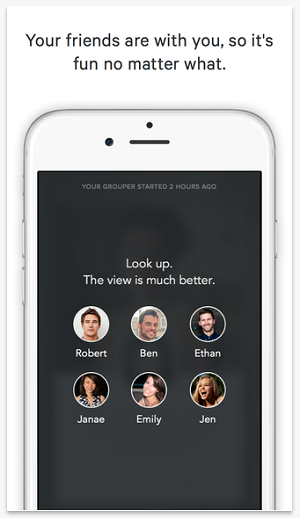 Grouper sets up the meeting with your friends. All you have to do is enter your preferences into the app and like the friends you would like to meet. If there’s a mutual like a Grouper meeting can be arranged. All you are left to do is click on GO to go on your desired Grouper. Remember, if this app isn’t your cup of tea, please make sure to check out our extensive reviews of other Android dating apps and iPhone dating apps (where you can download the apps too). For those not interested in downloading another dating app to their phone there’s also Grouper Mobile. The mobile Grouper site is written in HTML5 which makes it mobile friendly on all mobile devices. This means that people who own any type of mobile phone (Android, iPhone, Blackberry, Windows Phone and all others) can browse to JoinGrouper.com and start using the online dating service. It offers the option to sign up and start using all the features which the application offers from either your mobile or tablet. How much does the Grouper Mobile App Cost? $17 for a person to book a meeting. $51 for the minimum meeting of 3 people. The leader of the meeting can pay for his friends. You will be charged $51 to cancel a grouper that is more than 24 hours away from your location. You will be charged $102 to cancel a grouper that is less than 24 hours away from your location. 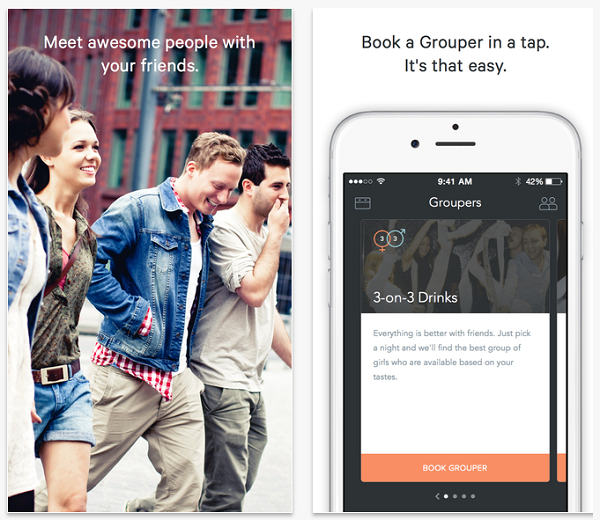 iPhone users who are looking to start social dating with friends should download and install the Grouper App. This is a dating app that is all about meeting singles and friends who are eager to date online through their mobile. The Grouper mobile app is free to download and use, but costs to set up a Grouper meeting. It is a safe, reliable, and easy to use app. If you are looking to socialize with friends and meet new people this is the singles dating app for you. If you are more into the one on one match making, love, fling, or relationship through online dating you might want to try a different dating app. 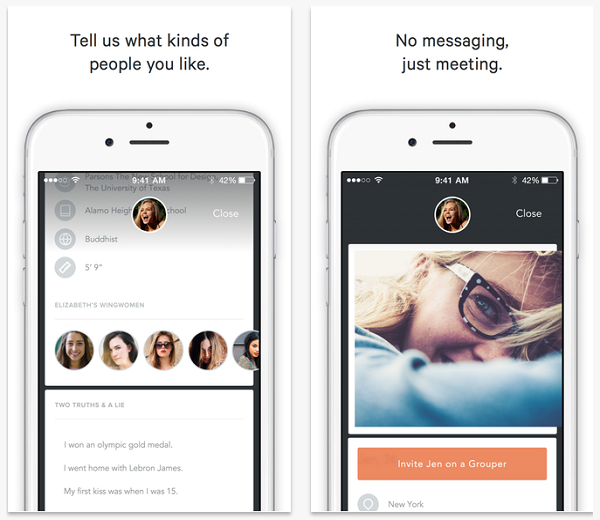 But if social dating and meeting casually is your thing, you should download and install the Grouper App to your iPhone. The Grouper App is not available on Android devices. Does Grouper set the location of the meeting? Yes. 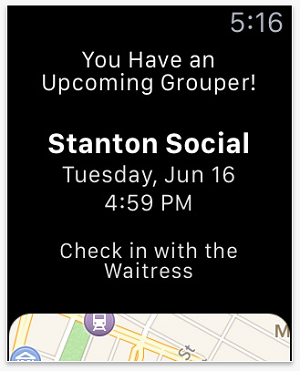 Grouper will send you a meeting notification with the location information one day before your meeting. How are contacts made on Grouper? First you have to like someone. Then if that someone likes you back you can start setting up a Grouper meeting via the app. My friend has an Android phone can I still contact her through my iPhone app? Yes. Although the Grouper App is available only on iPhone devices at this time, people who use Grouper Mobile can contact anyone. Get everything you can from your Mobile when it comes to dating. Download and Install the best Dating Apps for your Phone and Tablet.